Dr. Yo-Sung Ho, a new IEEE Fellow, received his B.S. and M.S. degrees in electronic engineering from Seoul National University, Seoul, Korea, in 1981 and 1983, respectively, and the Ph.D. degree in electrical and computer engineering from the University of California, Santa Barbara, in 1990. He joined ETRI (Electronics and Telecommunications Research Institute), Daejeon, Korea, in 1983. From 1990 to 1993, he was with North America Philips Laboratories, Briarcliff Manor, New York, where he was involved in development of the Advanced Digital High-Definition Television (AD-HDTV) system. In 1993, he rejoined the technical staff of ETRI and was involved in development of the Korean DBS Digital Television and High-Definition Television systems. 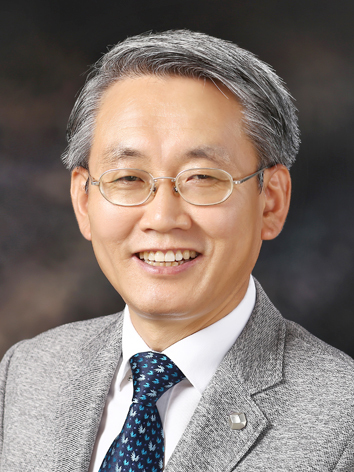 Since 1995, he has been with Gwangju Institute of Science and Technology (GIST), where he is currently Professor of School of Electrical Engineering and Computer Science. Since August 2003, he has been Director of Realistic Broadcasting Research Center at GIST in Korea. He has served as Associate Editors of IEEE Transactions on Multimedia (T-MM) and IEEE Transactions on Circuits and Systems Video Technology (T-CSVT). His research interests include Digital Image and Video Coding, Image Analysis and Image Restoration, Threedimensional Image Modeling and Representation, Advanced Source Coding Techniques, Augmented Reality (AR) and Virtual Reality (VR), Three-dimensional Television (3DTV) and Realistic Broadcasting Technologies. With the emerging market of AR/VR imaging products, 3D video has become an active area of research and development in recent years. 3D video is the key to provide more realistic and immersive perceptual experiences than the existing 2D counterpart. There are many applications of 3D video, such as 3D movie and 3DTV, which are considered the main drive of the next-generation technical revolution. Stereoscopic display is the current mainstream technology for 3DTV, while auto-stereoscopic display is a more promising solution that requires more research endeavors to resolve the associated technical difficulties. In this keynote speech, we are going to cover the current state-of-the-art technologies of 3D video capturing and processing for immersive AR/VR applications. After defining the basic requirements for 3D realistic multimedia services, we will cover various multimodal immersive media processing techniques. We also address the depth estimation problem for natural 3D scenes and discuss several challenging issues of 3D video capturing and processing, such as camera calibration, image rectification, illumination compensation and color correction. Erich Leitgeb was born in 1964 in Fürstenfeld (Styria, Austria) and received his master degree at the University of Technology Graz in 1994. From 1982 to 1984 he attended the military service, including a training to an officer for Communications in the Austrian army, and he is still active as an expert in military communications (current military rank Lieutenant-Colonel). In 1994 he started research work in Optical Communications at the Department of Communications and Wave Propagation (TU Graz). In February 1999 he received his PhD-degree with honours. Since January 2000 he is project leader of international research projects in the field of optical communications and he established and leads the research group for Optical Communications at TU Graz and joined international projects (like COST 270, the EU project SatNEx and SatNEx 2, COST 291, COST IC0802, IC1101 and currently MP1401, CA15127 and CA16220) and ESA projects in different functions. End of 2003 he submitted his research work for the Associate Professor. Since 2011, he is Professor for Optical Communications and Wireless Applications at the Institute of Microwave and Photonic Engineering at TU Graz. He is giving lectures in Optical Communications Engineering, Antennas and Wave Propagation and Microwaves. Erich Leitgeb had research stays at the Institute of Telecommuni­cations (FER) at the University of Zagreb (Croatia), at the University of Ljubljana and the Jožef Stefan Institute (IJS) in Ljubljana (Slovenia). He gave guest lectures in “Optical Wireless” in the frame of ERASMUS / SOCRATES lecture mobility at University of Patras (2008 and 2009) and at University of Zagreb (2010, 2011, 2012 and 2013). He is a Visiting Professor at the Northumbria University in Newcastle (UK) and he is a Member of IEEE, SPIE (the International Society for Optics and Photonics), OSA (Optical Society of America) and WCA (Wireless Communications Association). Since the EuCAP 2012, he is representative of “Optical Wireless” at EurAAP and since 2011 Austrian delegate of URSI Commission B (Fields and Waves). Since 2003 he is reviewer for IEEE and SPIE conferences and journals and he acts as member of Technical Committees and Chairpersons on these conferences. Since 2007 he prepared international IEEE conferences (like CSNDSP 2008, ConTEL 2011, NOC 2013, ICTON 2014, ConTEL 2015, CoBCom 2016 and currently CoBCom 2018) as local organizer in Graz. In this contribution Optical Wireless Communication (OWC), well known as Free Space Optics (FSO) also in combination (as hybrid transmission method) with other telecommunication technologies (including WLAN and satellite communications) and applications for Sensing are presented. Modular communication systems are considered, which allows worldwide access to the Internet or other networks by combining satellite communications, FSO, Wireless LAN, Local Multipoint Distribution System (LMDS) and DVB-T (terrestrial digital video broadcast). Current and future applications of OWC and hybrid solutions also on deep space missions and for autonomous driving systems (for cars, ships and planes) in combination with 5G networks are presented. Optical Wave Propagation for Sensing and Detection Technologies for Future Applications will supplement this talk. The contribution also deals with possible fields of application for optical wireless in conjunction with automated driving. The scope considers requirements (including infrastructural view and law), differences of Optical and RF-Wave Propagation and promising combinations of optical techniques with conventional wireless technologies. Optical wireless has a huge potential to cover the expected high data rate demands in relation to automated driving. A welcome side effect is the relief of the crowded RF bands respectively the support to fulfil the bandwidth demands with a combination of these technologies. It turned out that hybrid systems are currently the most promising approach as each technology has its own culprits and the combination provides the advantages without the disadvantages. Additional the visible light communication (VLC) offers a sophisticated concept of optical communications, but research has to be done to reach a mature stage. As it is likely that the headlamps and taillights of vehicles will not disappear in the next time, they could also be used for communication purposes as well as serving exact position data in locations, where no satellite position system is in reach (e.g. tunnels, narrow house-canyons in cities). Not only Communications also LiDAR is an important part for automated vehicles in the Sensing and Detection fields. Laser rays are used to draw a precise picture of the surroundings. The combination of LiDAR, Radar and cameras represents the current state-of-the-art system. To realise the broad use throughout industry, the costs need to be reduced. Optical solutions can also be implemented inside the vehicle. A reduction of vehicle weight and the complete lack of electromagnetic disturbances are interesting properties. It is also possible to increase the security of tramway systems and train controlling with LiDAR. These examples demonstrate optical wireless as an important part for modern data transmission and as future innovation optical technologies for automated driving. As mentioned the applications could be extended to trains, ships, aeroplanes etc. Like presented so often in the past Hybrid communication systems allow worldwide access to the Internet or other networks by combining satellite communications, FSO, Wireless LAN, Local Multipoint Distribution System (LMDS) and DVB-T (terrestrial digital video broadcast). Current and future applications of OWC and hybrid solutions also on deep space missions in combination with 5G networks will become more and more important and will be supplemented now for autonomous driving systems (for cars, ships and planes) by combining Optical- and RF-waves also for sensing and detecting targets, obstacles and neighbour-systems. 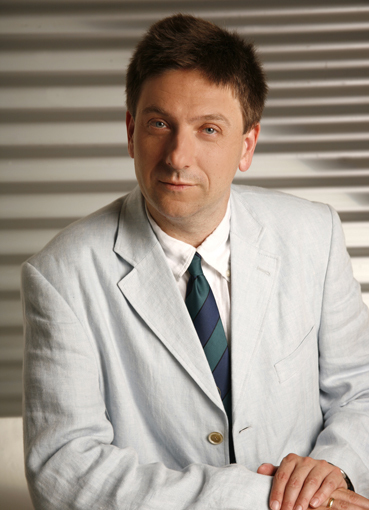 Mihai Datcu (SM’04–F’13), received the M.S. and Ph.D. degrees in Electronics and Telecommunications from the University Politechnica Bucharest UPB, Romania, in 1978 and 1986. 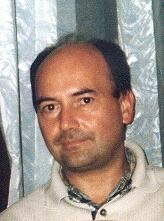 In 1999 he received the title Habilitationà diriger des recherches in Computer Science from University Louis Pasteur, Strasbourg, France. Since 1981 he has been Professor with the Department of Applied Electronics and Information Engineering, Faculty of Electronics, Telecommunications and Information Technology (ETTI), UPB, working in image processing and Electronic Speckle Interferometry. Since 1993, he has been a scientist with the German Aerospace Center (DLR), Oberpfaffenhofen. He is developing algorithms for model-based information retrieval from high complexity signals and methods for scene understanding from Very High Resolution Synthetic Aperture Radar (SAR) and Interferometric SAR data. He is engaged in research related to information theoretical aspects and semantic representations in advanced communication systems. Currently he is Senior Scientist and Image Analysis research group leader with the Remote Sensing Technology Institute (IMF) of DLR, Oberpfaffenhofen. Since 2011 he is also leading the Immersive Visual Information Mining research lab at the Munich Aerospace Faculty and he is director of the Research Center for Spatial Information at UPB. His interests are in Bayesian inference, information and complexity theory, stochastic processes, model-based scene understanding, image information mining, for applications in information retrieval and understanding of high resolution SAR and optical observations. He has held Visiting Professor appointments with the University of Oviedo, Spain, the University Louis Pasteur and the International Space University, both in Strasbourg, France, University of Siegen, Germany, University of Innsbruck, Austria, University of Alcala, Spain, University Tor Vergata, Rome, Italy, Universidad Pontificia de Salamanca, campus de Madrid, Spain, University of Camerino, Italy, the Swiss Center for Scientific Computing (CSCS), Manno, Switzerland, From 1992 to 2002 he had a longer Invited Professor assignment with the Swiss Federal Institute of Technology, ETH Zurich. Since 2001 he has initiated and leaded the Competence Centre on Information Extraction and Image Understanding for Earth Observation, at ParisTech, Paris Institute of Technology, Telecom Paris, a collaboration of DLR with the French Space Agency (CNES). He has been Professor holder of the DLR-CNES Chair at ParisTech, Paris Institute of Technology, Telecom Paris. He initiated the European frame of projects for Image Information Mining (IIM) and is involved in research programs for information extraction, data mining and knowledge discovery and data understanding with the European Space Agency (ESA), NASA, and in a variety of national and European projects. He is a member of the ESA Big Data from Space Working Group. He and his team have developed and are currently developing the operational IIM processor in the Payload Ground Segment systems for the German missions TerraSAR-X, TanDEM-X, and the ESA Sentinel 1 and 2. He is the author of more than 500 scientific publications, among them about 100 journal papers, and a book on number theory. He has served as a co-organizer of International Conferences and workshops, and as guest editor of special issue on IIM of the IEEE and other journals. He received in 2006 the Best Paper Award, IEEE Geoscience and Remote Sensing Society Prize, in 2008 the National Order of Merit with the rank of Knight, for outstanding international research results, awarded by the President of Romania, and in 1987 the Romanian Academy Prize Traian Vuia for the development of SAADI image analysis system and activity in image processing. He is representative of Romanian in the ESA Industrial Policy Committee (IPC) and Earth Observation Program Board (EO-PB). He was awarded the Blaise Pascal Chair 2017, at Centre d’Etudes et de Recherche en Informatique (CEDRIC) of the Conservatoire National des Arts et Métiers in Paris, for international contributions in the field of Erath Observation Data Science. The presenation introduces the basic principles of machine learning, and the evolution to deep learning paradigms. It presents the methods of stochastic variational and Bayesian inference, focusing on the methods and algorithms of deep learning generative adversarial networks. Since the data sets are organic part of the learning process, the EO dataset biases pose new challenges. The tutorial answers to open questions on relative data bias, cross-dataset generalization, for very specific EO cases as multispectral, SAR observation with a large variability of imaging parameters and semantic content.